Five ‘chronic life’ lessons I learned from walking 23 miles/ 37 kilometers. | The Endo The World? Five ‘chronic life’ lessons I learned from walking 23 miles/ 37 kilometers. 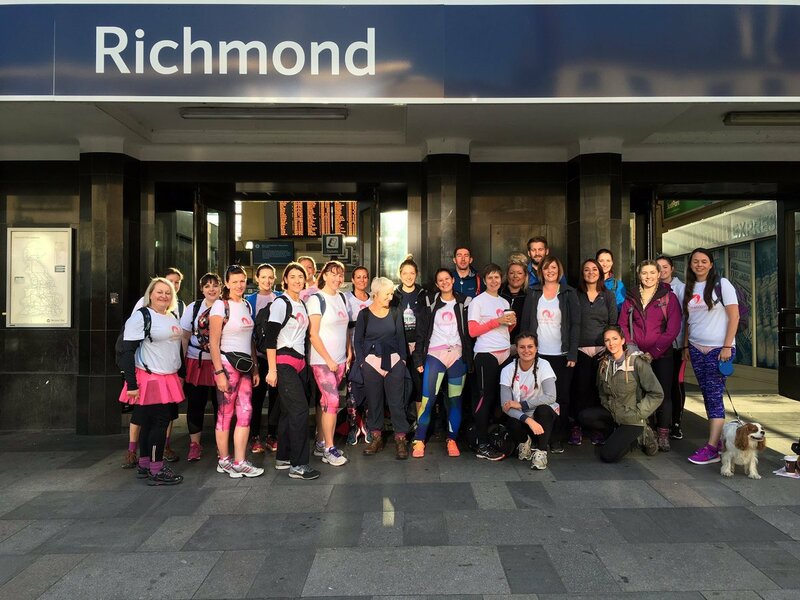 Last weekend I walked 23 miles across London, as part of the ‘Mad Pants X London Challenge’, to raise awareness of endometriosis and funds for Endometriosis UK. I’m happy to report that I managed to complete the walk! It took approximately 9 hours, 48,000 steps, 4 quinoa energy bars, 1 bottle of Lucozade, and a Wagamama pit stop to make it to the finish line. 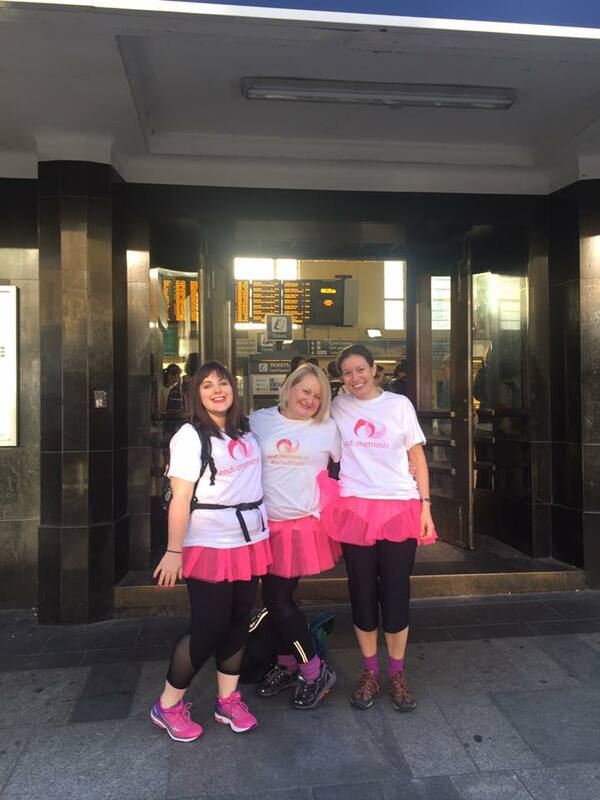 We (myself, and my Hertfordshire teammates Rosie and Jessica) managed to fund-raise £1515.24 for the charity (including gift aid), which was completely amazing and so much more than we were expecting. 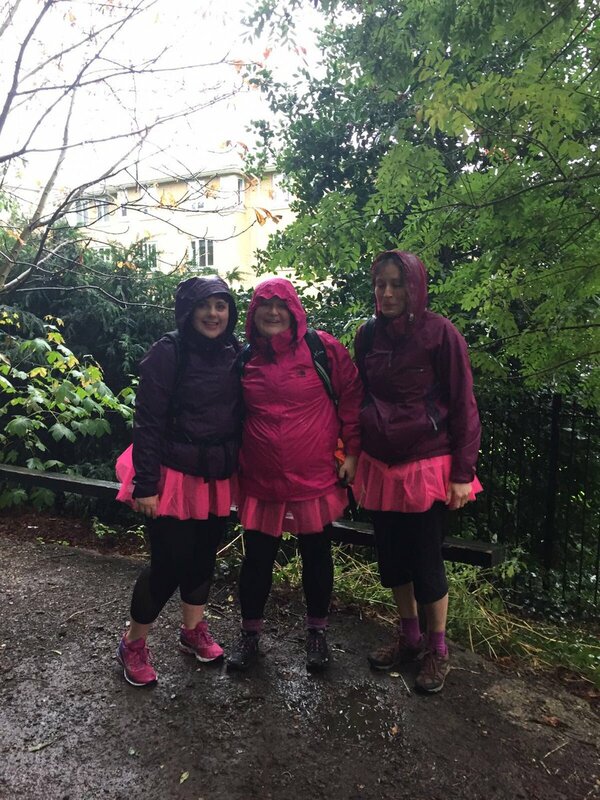 Knowing that we had so much sponsorship really helped to spur us on during some of the more difficult parts of the walk- especially during the heavy rain! Starting Line. 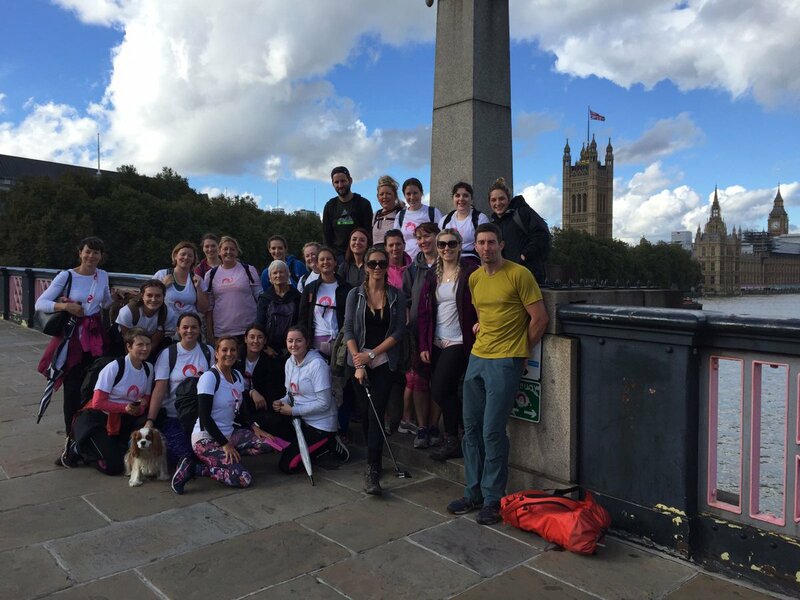 Was so lucky to do this walk with such lovely people. Image credit: Endometriosis UK. Finished! Total champions- bring on the wine! Image credit: EndoLadyUK. 1.It’s totally OK to push yourself sometimes. Walking 23 miles/37 kilometers in one go is pretty extreme. I knew that participating in this challenge would cause a massive fatigue flareup over the following week, and would make my pain worse than usual, but to be honest I didn’t care. While I’ve gotten really good at looking after myself and protecting my body from endo symptoms, I REALLY miss being the old adventurous and athletic me sometimes. I was ready for an adventure and to push my limits for a change, so I went for it regardless if the inevitable dire consequences. The massive sense of achievement and boost for my self esteem was totally worth a difficult week of recovery. Life is for living to the fullest after all, chronic illness or not. 2.But equally, you have to know your limits and work within them. These days it is fatigue more than pain that is a problem for me, which clearly poses a challenge when doing a long walk. Rather than letting this *minor detail* put me off I knew that I had to work within the limits of my body rather than ignoring them by putting a number of strategies into place. These included doing lots of training walks to gradually increase my stamina, and making sure that we had no plans scheduled for the next day etc. While we all know the importance of being proactive and pacing for navigating chronic life successfully, it felt good to have such a powerful reminder of how effective such strategies can be for helping you to reach specific goals, rather than simply being something that holds you back from participating in life. 3.The support and kindness of others can lift you up to achieve great things. The cruelty of life with chronic illness(es), especially ones like endometriosis and adenomyosis which are so variable in their pathology and symptoms, is that it can make you feel totally alone. With this walk, I was honestly surprised how much my friends, family, endo-sisters, and even strangers got behind us, because I honestly felt like most people in my life don’t understand or care what I go through on a daily basis. I was amazing the effect that people’s encouragement had on me, as I have grown used to primarily being my own cheerleader these days. It has also reminded me of the importance of getting behind my fellow endo-sisters/ spoonies in their endeavors, rather than just focusing on my own troubles. Together, we can overcome our illnesses and achieve great things. 4.It’s OK to say no. I had wanted to do the walk for the two years prior to actually signing up, but I was much sicker then as I hadn’t had my surgery and knew I’d never have managed it. I’m certainly not suggesting that my completing the walk was a simple case of mind-over-matter, I knew I had to wait until the timing was right. When you’re chronically ill, you have to put your health first much of the time in order to survive, and I knew that could mean pulling out of the race either shortly beforehand or during the day itself. And that would have been OK. Pre-chronic life I’d never have considered quitting anything even if it meant death, but the rules have changed now. It’s totally OK to say no, our health is more important than charity, the expectations of others, and even our own pride. 5.Live life as you see fit, not as others see fit for you. When I told most of my friends and family that I’d signed up to the walk, they almost universally thought it was a bad idea. My husband, who is forever supportive of every decision I make, was immediately dead set against it and told me outright that I was making a huge mistake, was endangering my health, and was unlikely to reach the finish line. Ouch! (Proved him very wrong though and am trying SO HARD not to rub it in his face!) I totally understood their reasoning of course- 23 miles is a long way to walk for people in good health, never mind for those who are chronically ill. I have to admit that I appreciated their concerns and shared some of their doubts about my walking abilities too. But I also knew that I know my body and abilities the best, and there was a voice inside my head telling me that I could, and would, succeed. If I’d have listened to everyone else I would have dropped out, or never signed up to begin with, and would therefore have missed out on a wonderful day and making a huge accomplishment. My point is, set your own goals for life depending on what you know your abilities to be, and don’t be swayed by people telling you that you can’t do things because you’re sick. Yeah, there are some things that are now out of your grasp, but lots of things aren’t. Now get out there and do them! Thank you to everyone who supported us on our epic walk; through publicizing our fundraising page, sponsoring us, and in your kind works of support. I’d love to hear your thoughts about this, or if you’ve learned anything from doing extreme challenges for charity sponsorship yourself. ← My blog is nominated for a WEGO Health activism award. Well done Claire you set yourself a tough challenge and met it head on. Very inspiring! I couldn’t imagine walking the whole length of my island (Malta is exactly 37km end to end) in my current condition. Thank you my lovely- was an epic day! Hope you’re looking after yourself and are being pampered post-surgery. Been thinking of you. 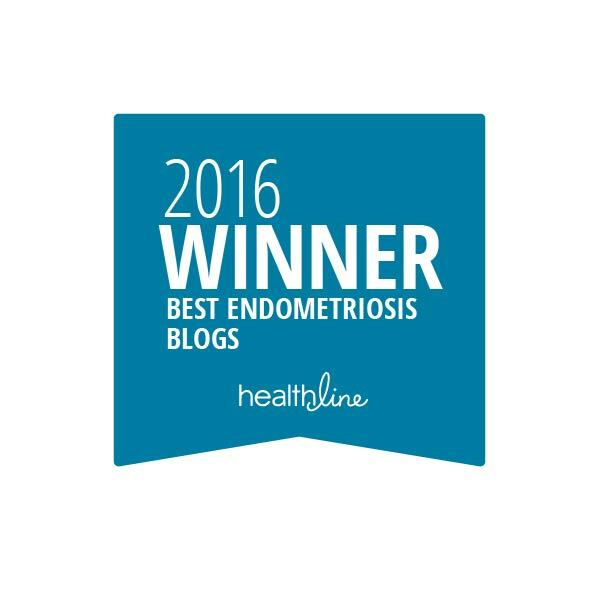 Pingback: Endometriosis roundup 2016. | The Endo The World?